Some experimental AROME configurations were daily run at 1.3 km and 2.5km. This experimentation has been stopped and will be replaced by runs of AROME High-Resolution with assimilation. More details when these runs are available. 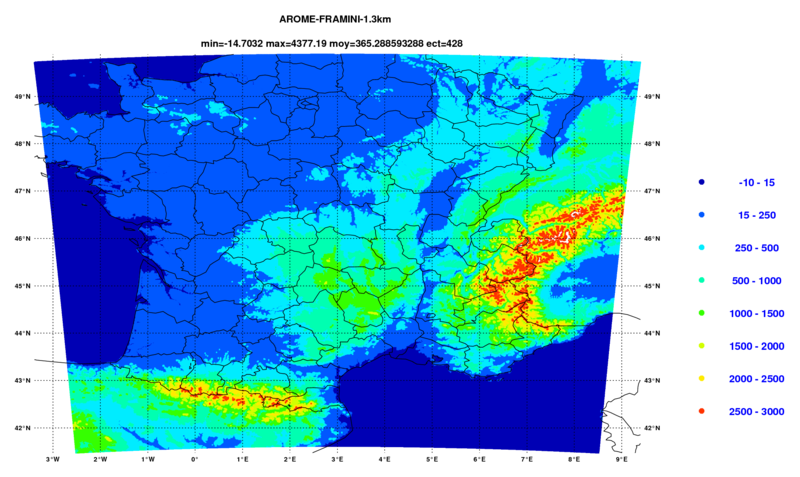 They are initialized and coupled with operational AROME-France (2.5 km). 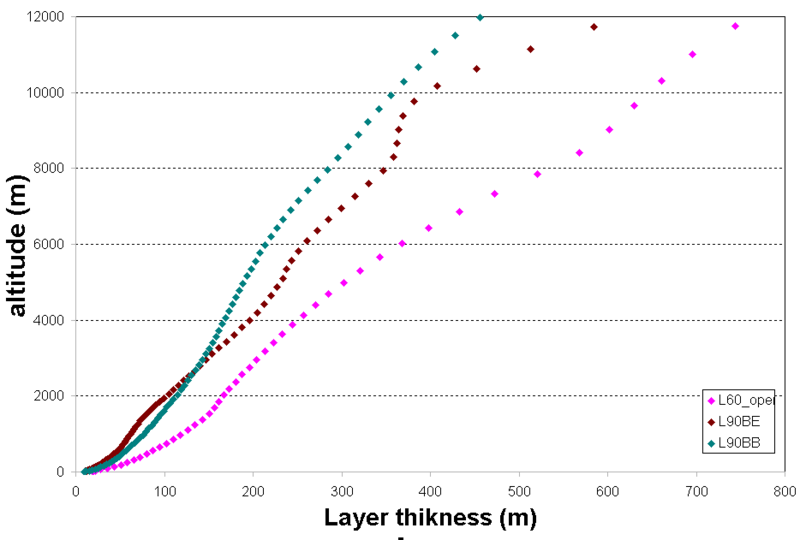 Two different vertical discretization are being tested : L90BB (a simple extrapolation of the operational 60 levels discretization on 90 levels) and L90BE (also 90 levels but with a better resolution the lower layers). 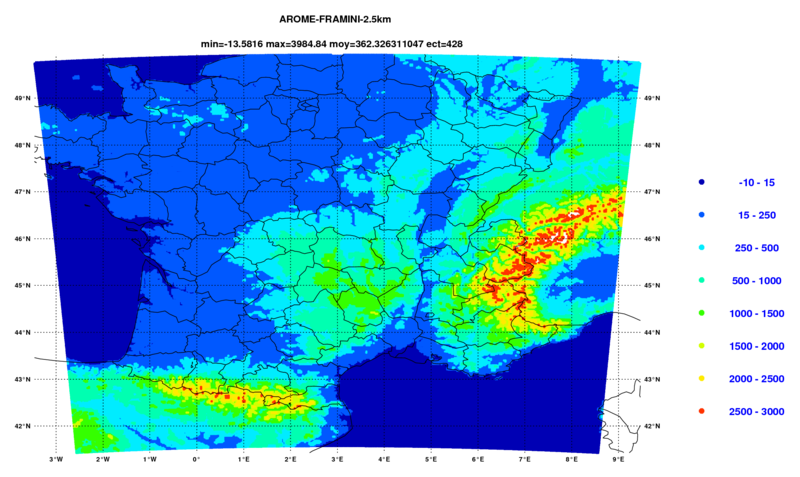 The plots of some parameters forecasted by 4 AROME configurations are available here (password required for non-Meteo/France access) for research purposes only (there is no garanty of the quality nor the availability of these plots). 4 plots are proposed for each parameter, for ranges from 01 to 24H, with a possibility to animate the hourly plots (click on "animate").